Our Box Office hours are Tuesday through Friday, 1:00pm to 6:00pm and Saturday from 10:00am to 2:00pm. We are closed on Sundays and Mondays. Should your scheduled performance fall on a day we are typically closed, the Box Office will open two hours prior to the beginning of the performance. Ticket purchases can be made at the window in the lobby, or over the phone at 856-685-6664. Will Call tickets will be available starting two hours prior to the start of events, and the Box Office will remain open for the duration of the performance. We accept cash, check, and all major credit cards. Phone orders are accepted with credit cards. The Box Office is located in our lobby at 499 S Egg Harbor Road in Hammonton. Parking for events is free in our lot. Please be mindful of residents’ driveways and lawns when attending Kathedral events. When leaving Kathedral, patrons may use either the Egg Harbor Road entrance or the Park Avenue entrance. Patrons leaving via Park Avenue may only turn right, toward Egg Harbor Road. Restrooms are located on the basement level of Kathedral, accessible via the stairwell on either side of the lobby. There is an additional restroom located at the top of the left stairwell, accessible from the lobby. Our accessible bathroom is located at the top of the wheelchair ramp to the right of the main entrance. If you would like to learn more about our accessibility, please click here. The Concession Stand, located on the right side of the lobby, will open at the same time as doors and will remain open one hour following the conclusion of the performance. We accept cash, all major credit cards, and Apple/Android Pay. Non-professional, non-flash photography is acceptable at most events. However, we will prohibit use of any type of camera at the request of the artist. If you require assistance during an event, please see a staff member or volunteer. Use the above map to assist you in getting to Kathedral Event Center. 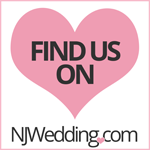 We are located at 499 S Egg Harbor Road in Hammonton.